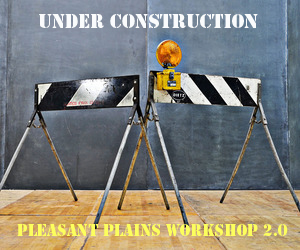 Pleasant Plains Workshop is growing! In the coming months, we will be expanding into the building next door. We’re building a state-of-the-art screen printing studio and creating additional work spaces to grow our resident artist program. Stay tuned for more on how you can help PPW v.2.0 come to life! And in the meantime, check out the lineup of exhibitions coming to our gallery space which will remain open as usual while we build out the other side. Happy New Year! A year in photos….